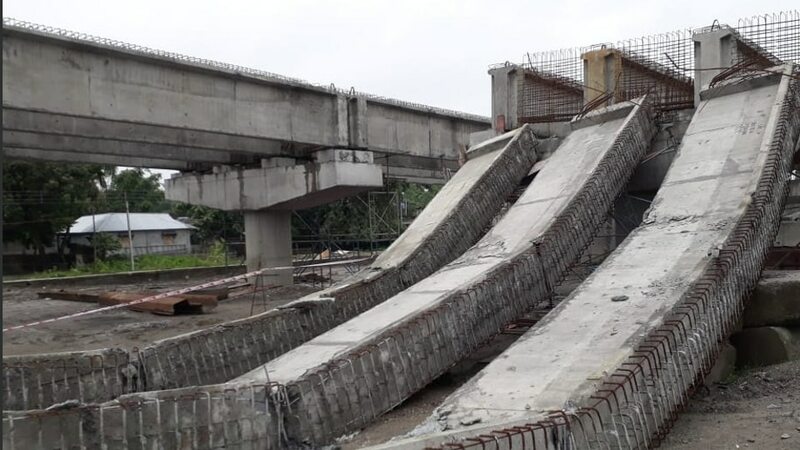 Darjeeling, Aug 11 (PTI) A portion of an under-construction flyover came crashing down at Phansidewa in Darjeeling district today without injuring anybody, police said. The incident happened near Kanthibhita in Phansidewa town along the National Highway 31D. A portion of an under-construction flyover came crashing down at Phansidewa in Darjeeling district today without injuring anybody, police said.